Alki Beach Park is a long sandy beach that stretches from Duwamish Head to Alki Point in West Seattle. Featuring a jogging/biking path, firepits, picnic tables and a bathhouse/art studio, the beach is popular and widely used year-round. Alki is also known as the birthplace of Seattle. In 1853, The Denny party landed here aboard the schooner Exact. The event is commemorated with a sculpture west of the Bathhouse. The Whale Trail sign at Alki Beach Park is just east of the Alki Bathhouse, facing north. 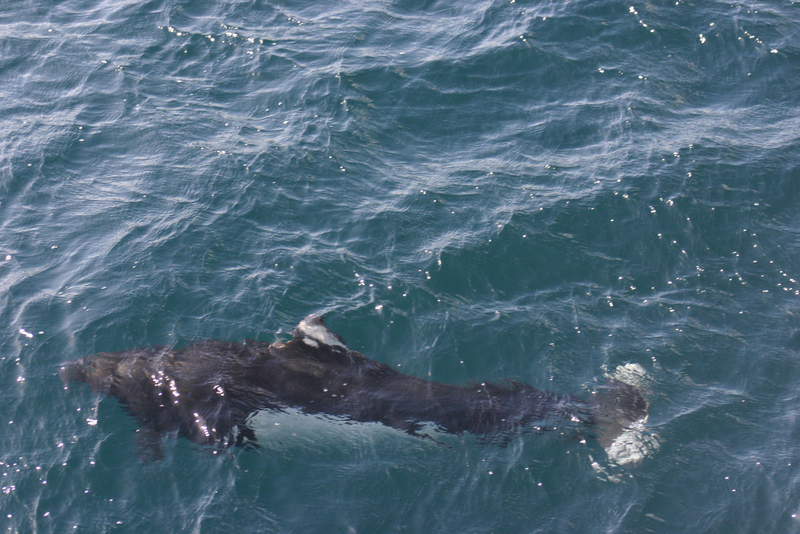 The best time to see orcas from Alki is during the fall and winter, when the southern resident pods return to this area. 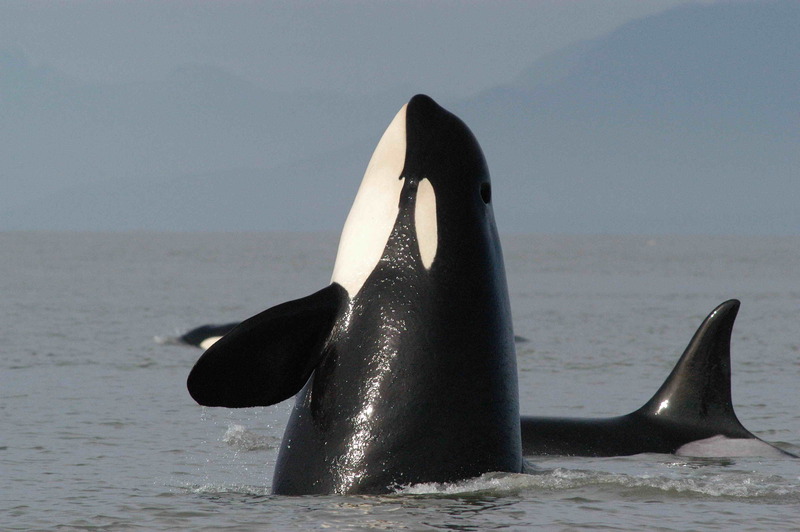 Throughout the year, you may also see transient orcas near here. Their travel patterns are much less predictable. To look for whales from the Whale Trail sign (or anywhere along Alki Beach), look north towards Discovery Point, and northwest, towards Bainbridge Island. The southern residents generally travel in the middle of the channel, to the northwest. Sometimes, of course, they make exceptions. 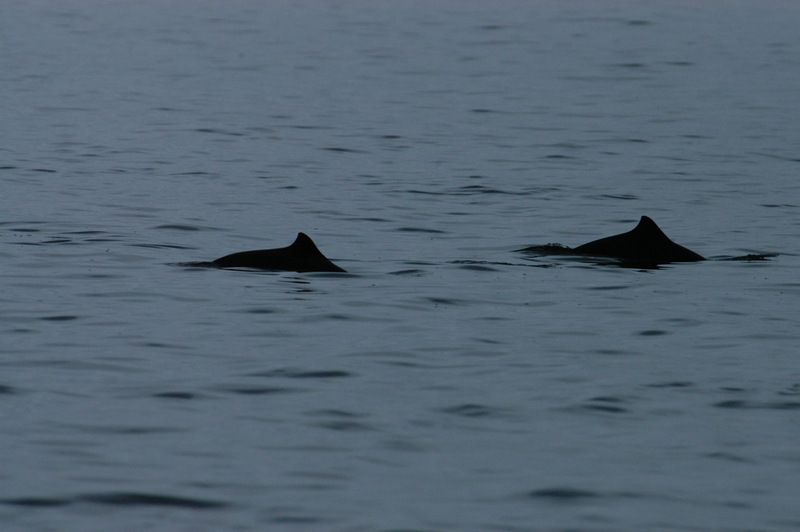 In December 2010, members of J-pod rounded Alki Point from the south, and then continued east along Alki Beach and right into Elliott Bay. 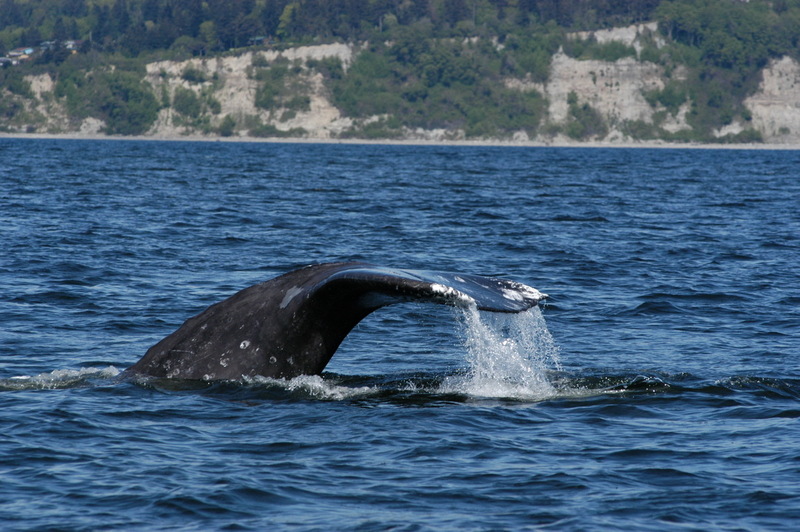 You might also see gray whales near Alki, most commonly in the spring. Gray whales often come very close to shore. 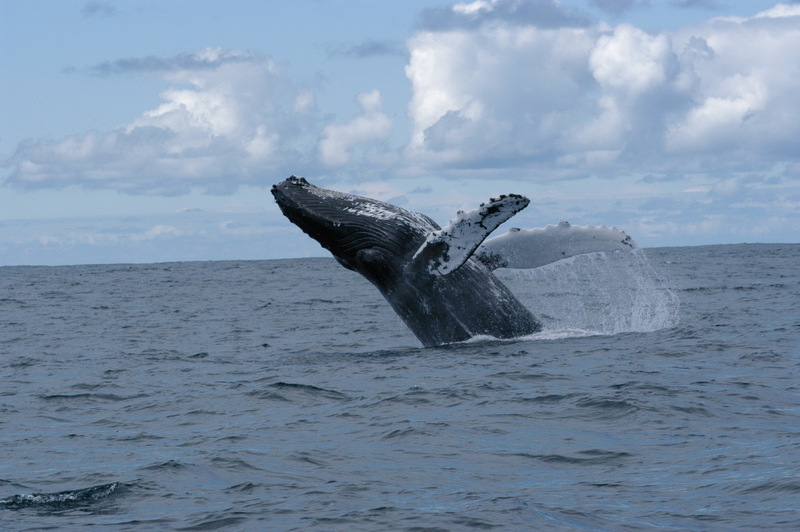 They feed on shrimp-like food in the nearshore sediment, and use their baleen to strain the food from the soil. 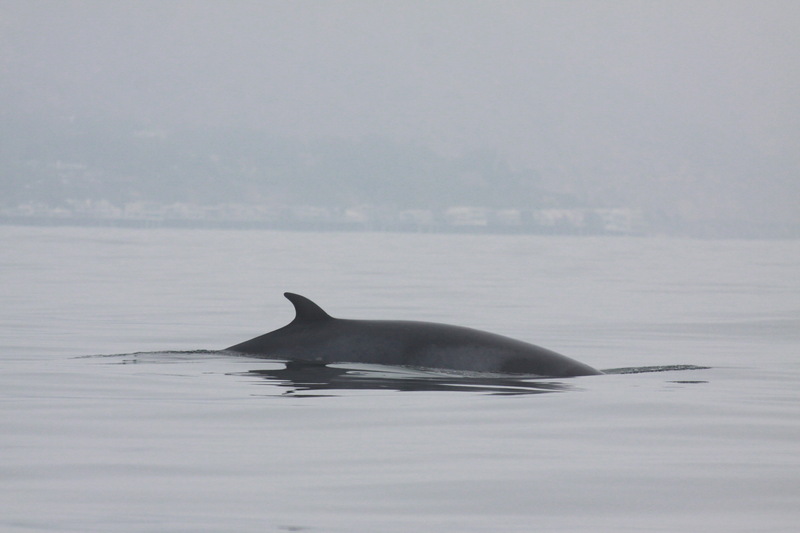 Humpback and Minke whales have been observed at Alki, but very rarely. 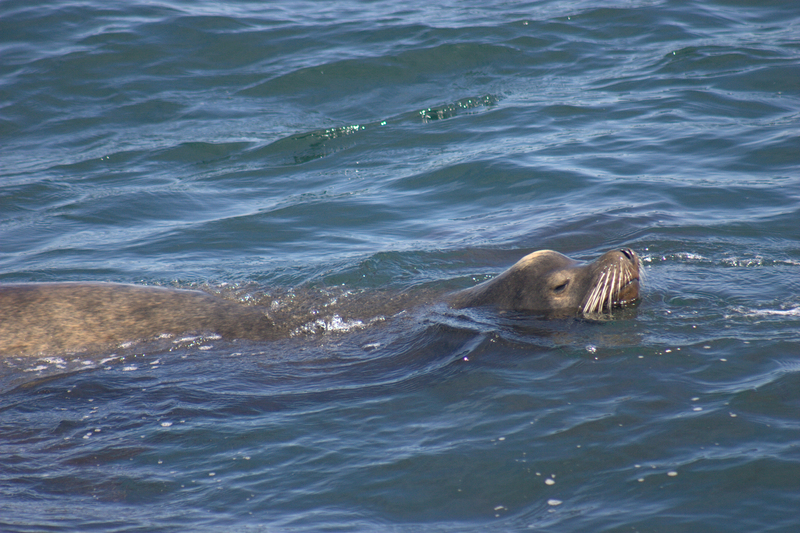 Seal Sitters is an Alki-based group that helps safeguard the pups while they are on the beach. 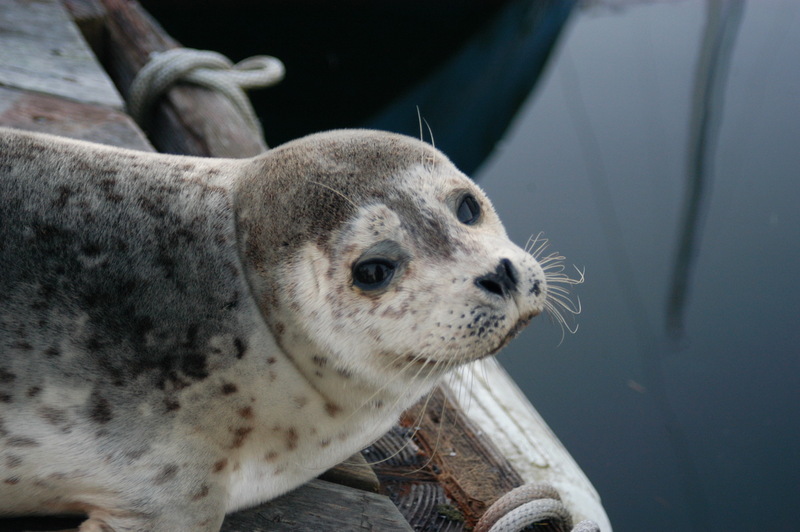 Remember, if you see a seal pup on the beach – leave it alone! A few blocks southeast of the Whale Trail site, the Alki Playground features a Whale Tail sculpture in the children’s play area. Also called Whale Tail park, the 3.9-acre park adjoins Schmitz Park, Alki Elementary and the Alki Community Center. Look for whale-themed art in the sidewalk around the park’s east border, near the entrance to Schmitz Park. Alki Beach is a hub for community activities, ranging from art exhibits and “car-free Sunday” to walks, runs, and the SeaFair Pirates’ landing. The Alki Community Council sponsors regular beach clean-ups. Coming from Seattle? 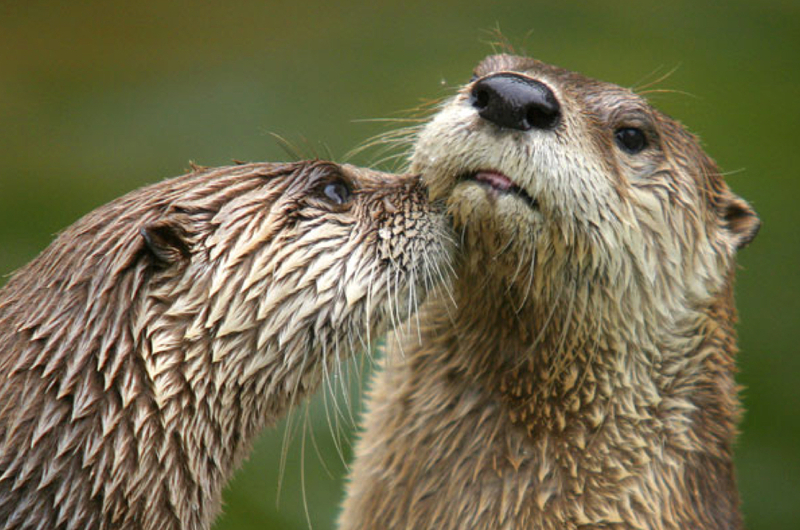 Take the West Seattle Water Taxi and walk or ride along the bike path to Alki Beach.